This has been challenging to piece together for me. I hope to spend time each week on a chakra (and a restorative asansa sequence to go with it) and would welcome comments and thoughts-- on how you teach it or apply it to your life. Chakras are a wheel of energy used to awaken and enlighten the body. There are seven chakras that correspond to the planets. This energy aligns in the spine. Chakras (meaning wheel or vortex of energies). Often referred to as a spiritual tree. Energy can flow from the brain down or the root up. In the first chakra, there is the deep rootedness of the tree, the unforgetfullness. First Chakra or Muladhara Chakra. It's the root Chakra. Muladharra, meaning flow. There is no flow until there is deep stillness. This Chakra is the seat of Kundalini (base of the spine or first 3 vertebrae) or the seat of infinite potential which can burst within you or it can happen gradually. It represents the manifestation of the individual consciousness into human form (physical birth). Many people talk about certain chakras being" blocked" but no chakra is actually "blocked", it's only imbalanced or unused. The potential is there but you're just not using it. Element: Earth (which is the root or grounding of something; We all come from the earth, and we all go back to it). 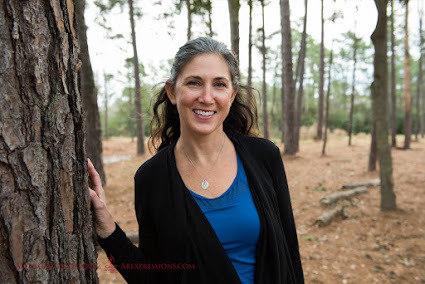 Teaching Asana: When I (Martha) share regarding muladhara, I mention the grounding effect of the chakra and relate it to the roots of a tree being sent down to the earth and drawing energy up through those roots into the body. Grounding-giving the stability and the energy to be grounded in our poses. We begin with the earth chakra and return back to it. Meditation: Focus on the tip of the nose induces the beginnings of awareness, freedom from disease, lightness, inspiration, vitality, stamina, and security. The foundation is the root of all growth and awareness of the divinity in you. Inner Balance (gunas or 3 states): Tamas, Rajas and Sattvic. (The root chakra is usually more tamas/rajas in nature). In an imbalanced state: this chakra is the seat of fear or primal urges (the reptillian brain). Balanced state: is grounded in trust, love, faith, light, and devotion. You can be in any state at any time, and there is a possibility of dropping back to another state at any time. If you're attentive, however, you can keep transcending through sustained practice. If too tamas: There is no movement. Fear is overwhelming and there is no hope left. You are only dangerous to yourself, not others. Tamas/Rajasic: You are active but your life is based on how to save yourself from fear or loss. Relationships are often abusive. Rajasic/ Tamasic: This is where you have the most consciousness and activity (more movement) but still fearful and insecure. There is hoarding, accumulating, or deep consumption because there is a fear of loss. Rajasic: There is no acceptance of fear but a deep fear inside. Other's think you are OK (an illusion), but deep inside you are not. Rajasic/ Sattvic: Recognizes the fear but you are detached from it. There is more faith here and love begins to occur. Sattvic: This is the balanced state. There is total fearlessness and an experience of light and ease of flow. When this fearlessness comes after Rajasic/sattvic state, there is effortlessness and understanding. Love replaces the fear. Shakti is the God that is associated with the 1st chakra, Deity is Brahma, Main Issue of the 1st Charka is Survival instincts. Goals of the 1st Chakra is Stability. Grounding. The Glands associated with 1st Chakra are the Adrenals. Body part are the Legs & feet. Element is Earth. Symbol is Square. Arch Angel is Auriel: Which means "Light of God" The Guardian of the Earth. Uriel or Auriel is repsonsible for our preceptions of divinity in even the most ordinary ways. Uriel brings Spirituality into our reachable grasps and understanding.